It is essential for every property owner to provide good care to door locksets and keys belonging to buildings and vehicles. With proper maintenance, these devices will operate effectively at all times and have a longer useful life as well. At the same time, it is possible for owners to make mistakes. This usually happens due to lack of sufficient information. Take closer look at the most common and serious mistakes and learn how to avoid them. The use of unsafe cleaning and lubrication materials is one of the worst mistakes you can make. You must not use strong solvents and rust removers even on the toughest brass and steel locksets as they can cause serious damage. In many cases, this damage is unfixable and lock replacement is required. It is a good idea to try to remove greasy marks with lemon juice and rust with distilled white vinegar. Paste made from equal amounts of these liquids and a sufficient amount of baking soda can also be used as a safe cleaning agent. If you decide to purchase a cleaning product, you must confirm that it can be used safely on metal. When it comes to safe lubricants, you should pick a product that is especially designed for door locks. These lubricants are based on graphite powder and do not have a sticky surface. Sometimes, silicone-based products are recommended for car locks, but it is best to check the owner's manual or consult the manufacturer before you go for this option. It is a mistake not to include inspection and testing in the maintenance process. In fact, you should start by performing these tasks. You need to test the operation of cylinders and bolts. When you inspect the different lockset components, you should place great focus on the screws and strike plate. If you notice any issues, you must have them fixed. Key inspection involves checking the condition of the blade and its tip, peaks and valleys. You should also hold the blade in forward position next to a straight surface age to identify bending. 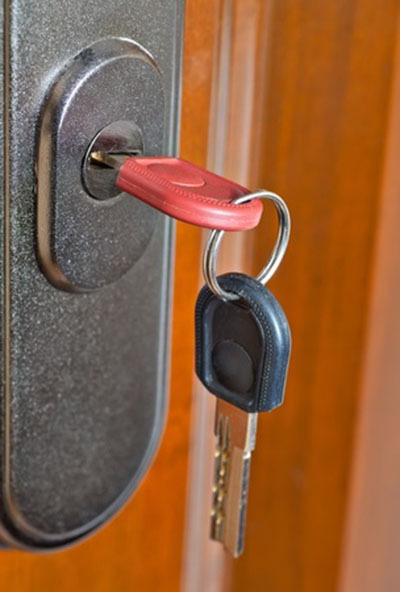 If this problem is bothering you, timely key repair or replacement is required. Another serious mistake is to make the maintenance sessions less frequent than they should be. You should inspect, test, clean and lubricate all locks and keys two times a year. The devices used in commercial buildings usually require more frequent care preferably three or four times a year. In such buildings, the file cabinet locks should receive the same care as their door counterparts. In general, spring and fall are the best times for maintenance. When you follow such a schedule, the devices will be in optimal condition during the months with the greatest fluctuations in temperature.